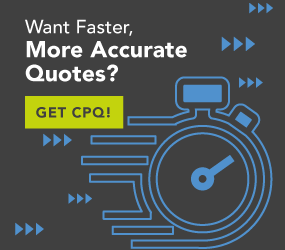 Quote-and-proposal automation accomplishes that as well as other things. Automated proposal delivery provides consistent, high-quality proposals that include detailed discovery findings, options considered, justification documentation, user references and itemized pricing quoted to the customer. Invoices received will match up with purchasing, ordering and shipping documentation. Benefits gained by the acquired solution are realized as quickly as possible.